GREEN BAY, Wis. — With the Green Bay Packers off to a 6-0 start, there already have been comparisons to the 2011 team — the one that started 13-0 and finished 15-1. But this season more closely resembles 2010 in one significant regard: The Packers have been hit by a rash of injuries. The 2010 team won the Super Bowl despite finishing with 15 players on injured reserve. More than one-third of the way through this season, the Packers have six players on injured reserve, including one — tight end Andrew Quarless — on the IR-designated to return list (something that did not exist in 2010). To put the issues of 2015 into perspective, we looked at the injury situations for all 32 teams and sure enough, the Packers have been hit the hardest (Dallas lost All-Pro WR Dez Bryant in week one, and QB Tony Romo in week two, so in my opinion, they have been hit the hardest. Imagine the Packers without Jordy and Rodgers from week two on). The Packers lead the NFL in games missed — or games that will be missed in the case of players not returning — by injured players. But it’s not only players who have been lost for the season. The inactive list for last Sunday’s game against the San Diego Chargers featured only three healthy players. The other four –- receiver Davante Adams (ankle), safety Morgan Burnett (calf), linebacker Nick Perry (shoulder, hand) and defensive tackle B.J. Raji (groin) — all were injury-related. Adams and Burnett have missed multiple games (three for Adams, five for Burnett). Sometimes, it’s not the sheer volume of injuries that matter. In 2010, only five of the 15 players on injured reserve were starters or key contributors. They were: running back Ryan Grant, safety Burnett, linebacker Nick Barnett, tackle Mark Tauscher and tight end Jermichael Finley. Only Finley proved difficult to replace. James Starks emerged as a capable replacement for Grant. Charlie Peprah was serviceable in place of Burnett. Desmond Bishop excelled in Barnett’s place, and Tauscher’s injury opened the door for Bryan Bulaga, who took over as a rookie and remains a starter. This season, Nelson is the only irreplaceable injured player, but it’s a major one. However, if the Packers can get Adams back, it will help offset the loss of their deep-threat receiver. The other injury losses are manageable. Inside linebacker Sam Barrington, who was lost to a foot injury after Week 1, had been a starter for less than a year. It might mean more time at inside linebacker for Clay Matthews, but so far that hasn’t been a bad thing, and the combination of Nate Palmer and Joe Thomas has been adequate. Safety Sean Richardson, whose neck injury in practice two weeks ago might have ended his career, was a backup on defense and had a far bigger role on special teams. Defensive end Josh Boyd, who broke his ankle in Week 2, was a backup who might have been expendable anyway after Letroy Guion served his three-game suspension. Linebacker Jermauria Rasco, an undrafted rookie, would not have made the team had he been healthy. Quarless, who can return Nov. 26 against the Chicago Bears from his knee injury, was the backup to Richard Rodgers. ~GREEN BAY, Wis. — In the end, a rookie stood up to Philip Rivers and kept the Green Bay Packers unbeaten. Green Bay stopped San Diego on fourth-and-goal from the 3 with 15 seconds left thanks to a pressure from Julius Peppers, and a play by first-round pick Damarious Randall, and overcame a career day by Rivers to hold off the Chargers 27-20 on Sunday. Rivers set franchise marks with career highs of 43 completions, 65 attempts and 503 yards passing. He threw for two touchdowns for the Chargers (2-4). His 43 completions were the most in NFL history in a loss; he needed one more, at least. Randall denied that as he lunged to poke away Rivers’ short pass to Danny Woodhead near the front right pylon in the final seconds. Rivers was on his back after being knocked down, arched his neck up, then laid back down in frustration and flailed his arms. San Diego lost to Pittsburgh on the last play on Monday night. The fans inside Lambeau Field erupted with a collective sigh of relief. Green Bay (6-0) survived its biggest scare of the year to stay unbeaten. The Packers started strong and finished barely in front. Running back James Starks had touchdowns on a 65-yard run and a 5-yard pass in the first quarter. The Packers went up for good after Aaron Rodgers found James Jones for an 8-yard pass in the corner of the end zone for a 24-17 lead with 40 seconds left in the third quarter. The defense bent and allowed Josh Lambo’s 32-yard field goal with 11:14 left. Green Bay’s stout pass rush finally caught up to Rivers in the second half. Datone Jones sacked Rivers on third-and-7 from the Packers 40 to end one drive. Until then, a Chargers line missing three starters held up well, with Rivers orchestrating a quick-strike offense and finding all the holes in the secondary. It was the most porous outing of the year for the Packers’ defense. But the Packers came up with their most important stop at the end. Rivers was under pressure from linebacker Julius Peppers when he threw his final incompletion. The defense was carved up all day, and never stopped Keenan Allen. But he was forced to exit the game with a minor injury in the second half. For the Packers, it was another relatively choppy outing for the offense. Rodgers was 16 of 29 for 255 yards. At one point, Rodgers had as many completions as Keenan Allen had receptions midway through the fourth quarter. But a hip injury kept Allen sidelined for much of the second half. He wound up with 14 receptions for 157 yards. Starks finished with 112 yards rushing on 10 carries. He started for Eddie Lacy, who had 3 yards on four attempts. Lacy, who sprained his right ankle earlier this season, played with his right foot heavily taped. ~Green Bay — On the sixth play from scrimmage against the St. Louis Rams, quarterback Aaron Rodgers lined up in the shotgun with two receivers to either side. He took the snap and peeked left, where Randall Cobb and James Jones were smothered. He turned his shoulders and glanced right, where Ty Montgomery and Richard Rodgers triggered a blown coverage in the middle of the field. Rodgers threw, Montgomery caught and what followed was the simplest of 31-yard touchdowns impeded by wind resistance and nothing more. Montgomery jogged into the end zone to put the Packers on the scoreboard less than 120 seconds after the offense took the field. “I was a little shocked with how much space I did have,” Montgomery said. But the ease with which Rodgers and Montgomery undressed the defense belied an inauspicious afternoon for an offense that proceeded to teeter. The Packers cobbled together just three drives of 40 yards or more in a 24-10 win over the Rams as receivers lumbered against a physical secondary. Rodgers, who threw two interceptions and lost a fumble, compiled his lowest quarterback rating (82.8) since a loss to the Buffalo Bills in 2014 and spent more than a few words criticizing the wideouts during his post-game news conference. The touchdown pass to Montgomery, enabled by a miscommunication between cornerback Trumaine Johnson and safety T.J. McDonald, salvaged an opening drive that felt disjointed until the scoring play. Not unlike last week’s game against the San Francisco 49ers, Rodgers targeted Montgomery with a deep throw on his first attempt of the afternoon. But where Montgomery made an error against the 49ers, dropping a beautifully thrown pass that may have resulted in a touchdown, Rodgers launched an unusually inaccurate ball Sunday that was both overthrown and several yards out of bounds. Three plays later, on his second attempt of the game, Rodgers threw a back-shoulder pass to Cobb along the sideline. Cobb never stopped his route and the ball fell incomplete. “I don’t know exactly,” Montgomery said when asked how the Rams constricted the Packers’ offense and held them to a meager 23.6 yards per possession. Among the contributing factors in a game that saw backup tailback James Starks contribute more as a pass catcher than Cobb — 29 yards to 23 yards — was the stringent press coverage employed by the Rams. By shading two defenders toward Cobb, who turned in his least productive outing since he finished with minus-1 yard against the Seattle Seahawks in September 2012, the Rams challenged the rest of the Packers’ receivers to win one-on-one opportunities, which they could not on more than a few occasions. Montgomery, whose 59 receiving yards more than doubled Cobb’s output, said the Rams pressed more than any team the Packers have faced this season. Cobb said the Rams adapted better to a certain leniency by the referees and controlled the areas at or near the line of scrimmage. That the Rams were undone by just two lengthy touchdown passes — the first one to Montgomery on the first series and a 65-yard catch-and-run to Jones at the start of the third quarter — lands somewhere between unfortunate and unforgivable on a defensive coordinator’s rubric, especially when the opposing quarterback is named Rodgers. It meant that after four quarters, three turnovers by Rodgers and zero touchdowns by Cobb, the Rams were left to wonder what might have been. They flustered the reigning MVP and outmuscled his impressionable receivers — and lost. They did their jobs to near perfection with the exception of two plays, one per half. ~Green Bay – This season isn’t about being in the playoffs for the seventh year in a row or wearing T-shirts proclaiming NFC North Division champs for five straight years. It’s about one thing – winning the Super Bowl – and adding to the Green Bay Packers’ record total of 13 NFL championships. To do that, the Packers really don’t need blowout victories in October and November, as their 2011 edition commonly registered. What they need at this time of year is to be tested, to persevere and to win. Since Ron Wolf turned around the franchise a generation ago, the Packers have been built to play their best in cold weather. It’s games like Sunday, a rare noon kickoff at Lambeau Field with the temperature in the low 70s and fans in shirtsleeves, that the Packers traditionally have been at their most vulnerable. Twenty years ago last month, a St. Louis Rams club that ended up 7-9 upset a Packers team bound for 11-5 and elimination in the NFC Championship Game on the same field, 17-14. The fact that the Packers (5-0) were able to repulse the determined, talented Rams of coach Jeff Fisher, 24-10, not only protected their unbeaten record but, more importantly, suggested a firmness of purpose throughout the player and coaching ranks. Seven times the Rams (2-3) advanced inside the Packers’ 35-yard line. Their inability to proceed much further was the story of the game. Dom Capers’ defensive crew either sacked or hit Nick Foles on 12 of his 33 dropbacks. Rookie Todd Gurley pounded away 30 times for 159 yards on the ground, but the ability of the defense to render null and void the St. Louis passing game, both with rush and coverage, carried the day. “Definitely our defense was outstanding,” said coach Mike McCarthy. “Particularly in taking the football away. They were on the field way too long but they kept answering the bell. “I thought the front did a heck of a job in the pass rush. Clay Matthews is just all over the field. I can’t say enough about our defense. Already missing four starters, the Packers lost two more (NT B.J. Raji and RG T.J. Lang) plus a key situational substitute (OLB Nick Perry) by early in the third quarter. Again, it wasn’t pretty, as it so often was four years ago during the franchise’s 13-0 start. But backups such as guard Josh Walker and nose tackle Mike Pennel held the fort, enabling the Packers to increase their home winning streak to 12. Another part of the winning formula was the crowd of 78,432. Fisher acknowledged noise caused some early communication snafus, and Foles’ four interceptions and 23.8 passer rating probably were a byproduct as well. “In the NFL it is,” Rams nickel back Lamarcus Joyner replied when asked if Lambeau was the loudest stadium he’d played in. Despite yielding 334 yards to the NFL’s last-place team in offense, the Packers seldom yielded when it mattered. In the first quarter, the Rams reached the Green Bay 33 before a joint sack by Nick Perry and Matthews forced a punt. Not long after the Rams’ closed an 80-yard march with a 5-yard touchdown pass to Tavon Austin, a series that started from the Green Bay 33 following the second of Rodgers’ two interceptions died at the 19 on Sam Shields’ exceptional end-zone pass breakup. In the third quarter, the Rams moved to the Green Bay 32 before Letroy Guion tackled Gurley for no gain and Foles was pressured into an incompletion by Mike Daniels and Julius Peppers. When Rodgers lost his first fumble of the year, the Rams got to the Green Bay 29 before Mike Neal tumbled into Gurley on a carry for minus-3 and Peppers recorded a strip-sack. And then, in the fourth quarter, St. Louis charged to the Green Bay 7 twice after Gurley bolted off tackle for 55 and Stedman Bailey beat Quinten Rollins on a corner route for 68. But the Rams just couldn’t score, undone the first time by Joe Thomas’ wonderful tip of a pass that was picked by Ha Ha Clinton-Dix and the second time by Rollins’ second easy interception of a ball thrown directly to him. Of the 24 teams that have played five games, only the Denver Broncos, with 79, have allowed fewer points than Green Bay’s 81. The Packers haven’t given up fewer points five games into a season since 2001 (50). St. Louis lost despite outgaining the Packers (334-322), extracting three turnovers from a team that had just one in Weeks 1-4 and piling up a 7 ½-minute margin in time of possession. Probably the most lackluster part of the offense was the running game. Three running backs gained just 47 yards in 19 carries (2.5) even though defensive coordinator Gregg Williams had the audacity to play virtually the entire game with safety Mark Barron at linebacker in the nickel replacing injured Alec Ogletree. The Rams emphasized press-man coverage outside while almost always rushing just four. The protection was more than adequate against one of the league’s elite defensive lines, but other than touchdown strikes of 31 yards to Ty Montgomery and 65 to James Jones the passing game was marginal. Rodgers’ home-field streak without an interception, counting playoffs, ended at 586 on a pass batted by Barron and picked by James Laurinaitis. Then, after Rodgers followed a hitch to Randall Cobb for 10 with another to Jones, cornerback Trumaine Johnson broke forward and intercepted another. Joyner insisted the Rams didn’t squat on a corps of wide receivers clearly missing the vertical dimension of Jordy Nelson. The Packers also miss Davante Adams (ankle), according to the quarterback. “Davante Adams, I think, is a Pro Bowl-caliber player,” Rodgers said. “We didn’t run it very well. They kind of challenged us in the box and then challenged us outside, and we didn’t get open enough and didn’t throw it well enough. Until the Rams had to pass at the end, they ran on an astronomical 23 of their first 25 first-down plays. It was old-fashioned football, to say the least, and the Packers weathered the storm. “I think the Packers hung in there,” said Snead. “We kept pounding away, and our guy (Gurley) is a special talent and he broke one, but they kept us out of the end zone. I do think, especially early, they were pretty solid in their gaps. The Packers have scored 137 points, well off the pace of their offensive juggernaut that put up 173 at this point four years ago. That squad, however, had no staying power. We shall see if this one does. ~GREEN BAY, Wis. — There’s an exit just a few steps from Josh Sitton’s locker at Lambeau Field. The way the Green Bay Packers offense performed Sunday, you might think the All-Pro guard would have made a run for it. His quarterback turned the ball over three times — two interceptions and a lost fumble — and no running back gained more than 27 yards against the St. Louis Rams. Yet, Sitton, who at times revels in his gruffness, could not have been happier to talk about a 24-10 win that was anything but an offensive tour de force. “Honestly, I think this is the best team and the most talented team that we’ve had since I’ve been here,” Sitton said as he stopped to chat by the exit door. Yes, the offense is struggling, something Rodgers admitted after the game, but the Packers remain among the NFL’s unbeatens at 5-0 thanks in no small part to their improved defense. Whether coach Mike McCarthy should be concerned that their once-unstoppable offense now can be stopped — or at least slowed by the Rams and San Francisco 49ers in consecutive games — or thrilled that their punching-bag defense no longer gets beat up, depends on your perspective. If you’re like Rodgers, who still managed two touchdown passes to run his season total to 13 against just two interceptions, it’s the former. “Yeah, we’ve been struggling the last couple of weeks,” Rodgers said and then rattled off the things needed to rectify it: better adjustments, better route running, better throws. Sitton, however, looked at it like this: No longer does the offense have to be at its absolute best week in and week out for this team to win. On Sunday, that meant four interceptions — including two by rookie cornerback Quinten Rollins — and a continuation of a relentless pass rush that has resulted in 16 sacks combined in the past three games, including three of Rams quarterback Nick Foles, who completed just 11 of 30 passes for 141 yards. The defense even put points on the board, when Rollins returned his first interception 45 yards for a touchdown in the first quarter. “We can complain all we want on the sideline about [the offense not scoring enough], but would the defense want it any other way?” said linebacker Clay Matthews, who had 1.5 sacks on Sunday. “For so long now, this has been [an offensive team]. It still is an offensive team, but it’s nice when the defense can hold their own, especially in the last couple weeks of doing so, especially when the opposition is having a good defensive game and maybe our offense isn’t clicking. At some point, Rodgers and the offense will need to get back to that. It would help if they had a deep-threat receiver. Rodgers thinks they do (no, Jordy Nelson isn’t magically returning from his season-ending knee injury). The bye will have to wait until after Sunday’s game against the San Diego Chargers. Until then, don’t expect Rodgers to be satisfied that the Packers have won despite the offense accounting for just 17 points in each of the past two games. ~Green Bay — There were times when St. Louis Rams quarterback Nick Foles looked like he didn’t even have an offensive line in front of him. That’s how much the pressure was coming from the edges and up the gut, and when that happens, it can rattle a quarterback into throwing passes he’d rather not. So while this will go down as an excellent game for Green Bay’s defensive backs with their four game-changing, momentum-killing interceptions, some of the credit must go to the pass rush. The beneficiaries of the pressure were some of Green Bay’s youngest players. e of them; Micah Hyde picked off Foles early, and Ha Ha Clinton-Dix hauled in a touchdown-saving interception late. Each contributed in some way to the 24-10 Packers victory. After Aaron Rodgers’ threw his first interception at Lambeau Field in 586 passes, Hyde immediately took the focus off of the streak-ending turnover by collecting an interception of his own. Hyde jumped in front of Kenny Britt at midfield and prevented the Rams from capitalizing on the bonus possession. Eight plays later, Green Bay defensive end Datone Jones was in the face of Foles and Rollins stole a short pass and returned it 45 yards for a touchdown and a 14-0 lead. It was Green Bay’s first rookie Pick 6 since Marques Anderson had one in 2002. 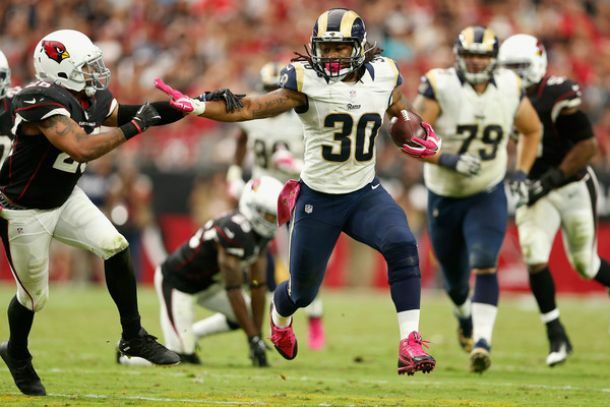 The Rams kept charging, however, and trailing 21-10 with 11:38 left began a drive with a 55-yard rush by Todd Gurley. Three plays later, from the Green Bay 7, St. Louis was ready to make it a game again when Clinton-Dix intercepted a tipped ball in the end zone to kill the momentum. He also got the pick despite taking a good stiff arm from Gurley on the previous play. The Packers’ final interception came in the final minute, with the Rams trailing 24-10, when Rollins got his second of the game deep in Green Bay territory. This was Green Bay’s first four-interception game for the defense since Sept. 13, 2012, when it had four against Chicago. The team record of nine interceptions in a game was set in 1943 against the Lions. None of the defensive backs would take credit for bailing out Green Bay’s offense that looked uncharacteristically out of sync against the Rams. But the DBs would give credit to the pass rush, which also came from Julius Peppers, Mike Neal and Nick Perry besides Matthews and Jones. ~GREEN BAY, Wis. — The Green Bay Packers’ defense no longer looks like a liability. After years of being this team’s weak link, defensive coordinator Dom Capers’ unit turned in another impressive performance in Sunday’s 24-10 win over the St. Louis Rams at Lambeau Field. The Packers intercepted Rams quarterback Nick Foles four times, including one that rookie cornerback Quinten Rollins returned 45 yards for a touchdown in the first quarter. Rollins sealed the win with his second interception of the game. Their pass rush has been borderline dominant the last three games, totaling 16 sacks in that stretch. What it means: The Packers can win even when Aaron Rodgers turns the ball over, which he shockingly did three times (two interceptions and a lost fumble). It was Rodgers’ first three-turnover game since Week 9 of the 2009 season against the Tampa Bay Buccaneers. Special teams coordinator Ron Zook talked this past week about the Rams’ propensity for trick plays, so you would think the Packers would’ve been ready for one in the third quarter, when they ran a fake punt. But backup cornerback Demetri Goodson couldn’t stay on his feet when St. Louis punter Johnny Hecker lofted a pass to safety Cody Davis that went for a 20-yard gain. In the fourth quarter, Packers tight end Richard Rodgers cost his team three points because he was called for illegal hands to the face on a 47-yard field goal attempt. It would’ve given the Packers a 24-10 lead with 11:46 to play. Instead, they had to punt with an 11-point lead. Earlier, another special teams gaffe by Jeff Janis turned what should have been a Tim Masthay punt downed at the 1 into a touchback. One reason to be optimistic: The Packers are finally starting to get some big plays from former first-round pick Datone Jones. The backup defensive end pressured Foles into his first-quarter interception that Rollins returned for a touchdown. Then in the third quarter, Jones blocked a 50-yard field goal attempt. The Packers don’t have enough offensive weapons to miss out on big-play opportunities, which made Richard Rodgers’ drop of what might have been a 30-yard touchdown catch in the fourth quarter so excruciating. On a rare day when Aaron Rodgers turned the ball over, the Packers could’ve used a play like that from their tight end. We’ve said it before, but we’ll say it again: Where would the Packers be without James Jones? With their offense going nowhere, Jones broke free for a 65-yard catch-and-run touchdown in the third quarter. It was Jones’ fifth touchdown catch of the season. Jones’ touchdown was the longest play the Packers have run from scrimmage this season. It was a short pass that Jones caught at the Rams’ 48-yard line, and the 31-year-old outran everyone to the end zone. On the same day the Packers got right tackle Bryan Bulaga back after he missed three weeks because of a knee injury, they lost right guard T.J. Lang to the same injury. He was taken to the locker room on a cart and did not return. Two other defensive players also dropped out and did not return: OLB Nick Perry (shoulder) and NT B.J. Raji (groin). The Packers have one more game before their bye, at home next Sunday against the San Diego Chargers. Following the bye, they have consecutive road games at Denver and Carolina. ~Each Tuesday, Press-Gazette Media will turn to the week ahead with three storylines for the Green Bay Packers’ next game. This week, the opponent is the St. Louis Rams. Here’s a glimpse of what to watch for when the Packers host the Rams for a noon kickoff Sunday. 1. An upstart: The Rams turned heads when they opened the season with a victory over the reigning NFC champion Seattle Seahawks. Expectations faded during the next two weeks with losses to the Washington Redskins and Pittsburgh Steelers, but were ignited again Sunday when the Rams went on the road and upset the previously unbeaten Arizona Cardinals. Donny Barclay was exposed last week at right tackle. This week, left tackle David Bakhtiari faces as good of a DE pass rusher as there is in the NFL, in Robert Quinn. While Barclay will have his hands full with former top-3 pick Chris Long, the interior guys will have their work cut-out for them as well with 2014 NFL Defensive Rookie of the Year Aaron Donald, as well as former first round talents Lawrence Brockers and Nick Fairley. With wins against the Seahawks and Cardinals, the Rams have beaten two playoff teams from last season, and the two teams considered the best in the NFC West. It’s enough to label them a playoff contender, and they could take another step Sunday with a win at Lambeau Field. If the Rams are able to beat the Packers, their schedule opens up to allow them a chance to go on a nice run. Their next five opponents after Green Bay have a combined 6-14 record. 2. Protecting the right: Although there were several quarterback hurries, Packers backup right tackle Don Barclay impressively avoided allowing any sacks in his first two games filling in for injured starter Bryan Bulaga. But Barclay allowed three sacks Sunday against the San Francisco 49ers, and things won’t get any easier this week against one of the better (I would say THE best, hands-down) defensive fronts in the NFL. Rushing just 4 guys, allowing 7 to cover, the Rams fantastic front line is able to quickly get to the quarterback. If you thought Donny Barclay looked bad last week against a decent player in Aaron Lynch, wait til he’s asked to block this fantastic front-line that features a handful of first round talent. The Rams are tied (with the Packers) for second in the league with 17 sacks this season, one behind the league-leading Denver Broncos. With a defensive line of Chris Long, Aaron Donald, Michael Brockers and Robert Quinn, the Rams can pressure the quarterback without blitzing, something that has given the Packers trouble in the past. 3. Another running test: So you thought the Packers’ run defense was out of the woods after starting its first four games against elite runners named Forte, Lynch, Charles and Kaepernick? Not so fast. For any running back to be drafted with the 10th overall pick, much less even late in round one, he must be good. Todd Gurley is. He’s special, despite the fact that he tore his ACL last fall while playing for the University of Georgia. He showed last week that he’s almost totally back. Rookie Todd Gurley, in only his second career game, gashed the Cardinals’ formidable run defense for 146 yards on 19 carries Sunday. That’s a 7.7 yards-per-carry average against a Cardinals defense that had averaged just 94.6 yards allowed through the first three games. Gurley is a rare type of tailback, drafted 10th overall in an era when running backs are almost never taken in the first round. He might not have dropped that far if not for a torn ACL last year. His knee is clearly feeling good now, and he could be a significant test for a Packers run defense that has answered the challenge three straight weeks. ~SANTA CLARA, Calif. — Once Aaron Rodgers and Co. warmed up in the second half, the Green Bay Packers kept their unbeaten start rolling. Rodgers passed for 224 yards and a touchdown, ran 17 yards to set up a key second-half score, and the Packers beat the hapless San Francisco 49ers 17-3 on Sunday for their first 4-0 start in four years. Richard Rodgers caught a 9-yard touchdown pass on the game’s opening drive before Rodgers got his team going in the second half after a slow start to snap a four-game losing streak to San Francisco, which included a pair of playoff defeats. Clay Matthews added his own flair to this one. 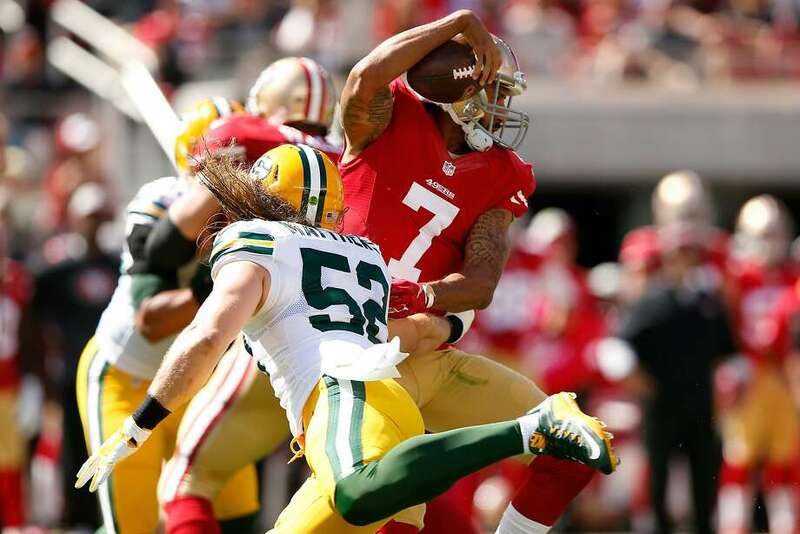 When he sacked Colin Kaepernick in the third quarter, he kissed his right biceps Kaepernick-style to punctuate the play — one of Green Bay’s six sacks. While methodical with nothing fancy, Green Bay (4-0) seemed unfazed with a short week and long trip West after beating Kansas City last Monday night. This is the team’s first 4-0 start since winning the initial 13 games in 2011. The Packers certainly hope their trip to Levi’s Stadium will be the first of two this season. The Packers hope to, and expect to, make a return trip to the Bay area in late January/early February. 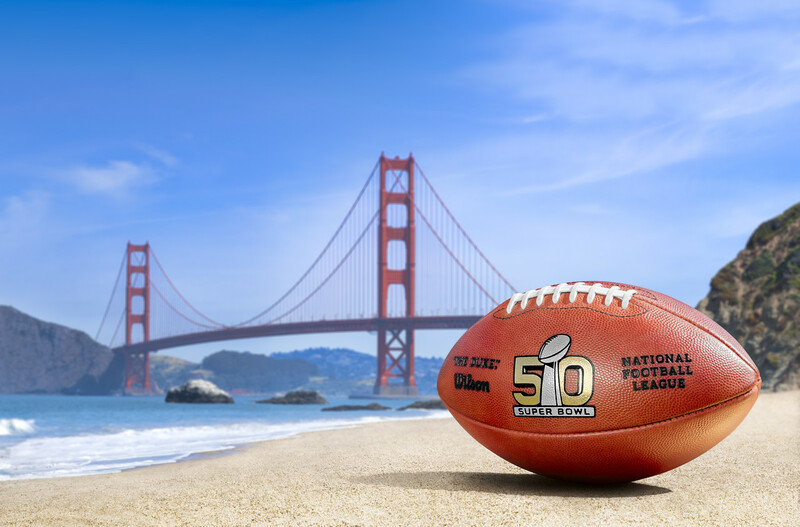 The Super Bowl comes to the second-year, $1.3 billion Bay Area venue in four months for its 50th year celebration. Kaepernick threw his fifth interception in two games and the 49ers (1-3) have been limited to 28 total points over three games while giving up 107 points. The quarterback, sacked six times, was booed in the fourth quarter along with rookie punter Bradley Pinion. The Packers capitalized shortly after San Francisco’s Reggie Bush was stuffed for no gain trying to go up the middle on third-and-11 in a play call that was immediately scrutinized (booed). On the ensuing drive, James Jones caught a 38-yard pass on the left sideline by barely staying in bounds. Rodgers then scrambled 17 yards to set up John Kuhn’s 1-yard scoring burst. Green Bay made just enough plays. The Packers sacked Kaepernick on consecutive snaps late in the first half, and the Niners settled for Phil Dawson’s 33-yard field goal in their best scoring opportunity of the day. Jones wound up with five receptions for 98 yards in the fifth meeting between the rivals since 2012, while Randall Cobb had his streak of seven games with either a touchdown or 100-plus yards receiving snapped. Eddie Lacy ran for 90 yards and converted two fourth downs. On one particular 49ers mishap, Australian rookie returner Jarryd Hayne was trying to catch a punt on the sideline when he was run into by two teammates, first L.J. McCray and then Jaquiski Tartt, and the ball bounced off the pile of 49ers before teammate Dontae Johnson recovered. All of this on a day home run king Barry Bonds and the NBA champion Golden State Warriors were in attendance. Green Bay played on the road after a Monday night game for just fifth time since 2006, improving to 4-1 in those games. The Packers also improved to 10-2 during the regular season in California since 1990. Kaepernick, who had played some of his best games against the Packers, was 13 for 25 for 160 yards and a 55.4 passer rating. ~ Green Bay Packers quarterback Aaron Rodgers might be the best player in the NFL right now, but he’s not ready to be viewed in the same light as NBA legend Michael Jordan. Rodgers explained his reverence for Jordan and the way he feels about the comparison on Wednesday. The comparison stemmed from Rodgers’ own backup, Scott Tolzien, who was amazed by the All-Pro passer’s five-touchdown performance against the Kansas City Chiefs last Monday night. Although Rodgers has backed away from the comparison, others are insisting he’s the new MJ. Few athletes — if any — are on his level right now, so Packers wide receiver James Jones stands by the sentiment that Rodgers is the Jordan of the NFL. With Rodgers on top of his game, his Packers will be as tough to beat as Jordan’s Chicago Bulls were back in the late-1990s.